Back in April I blogged about shower cubicles. And in the process took this fab photo of what I can see when I’m having a shower. So I asked a few friends and family if they would oblige instead. Some did with alacrity (thanks Jen and Richard). Some needed a bit of a prod but did produce the goods (Chris and Floyd). Some took photos of a shower that is mine but on my instructions cos I was ‘too busy mate’ (Floyd again). 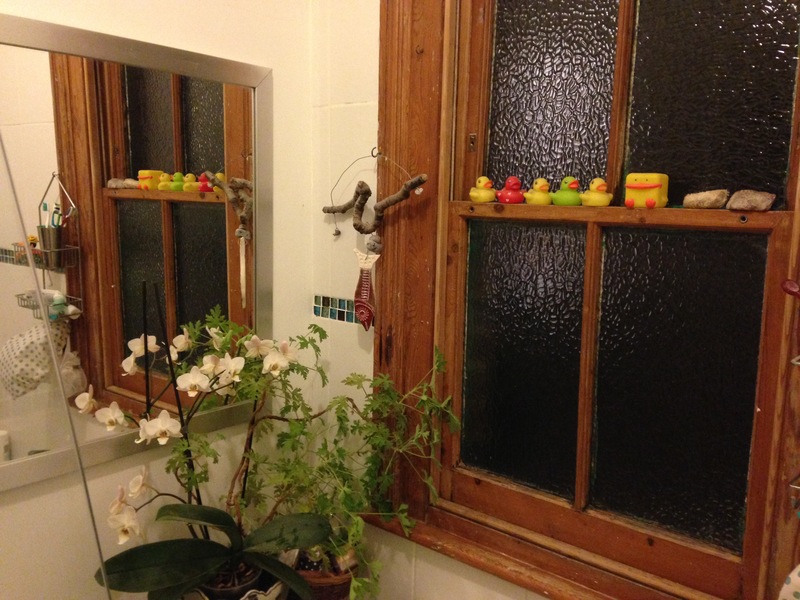 Some made the boring and predictable comments about the views from their shower having to be X-rated (Ols). Some came up with all sorts of reasons about why they possibly couldn’t and there wasn’t really a view as though that’s a valid reason (Yogini). Some said they would but they were too busy expanding their empire (Jon B). And some did when I popped round to theirs for a cup of tea and a fag with the teen thus achieving a whole ten minutes when Sam is forced to unglue herself from her phone – result! (Ria). 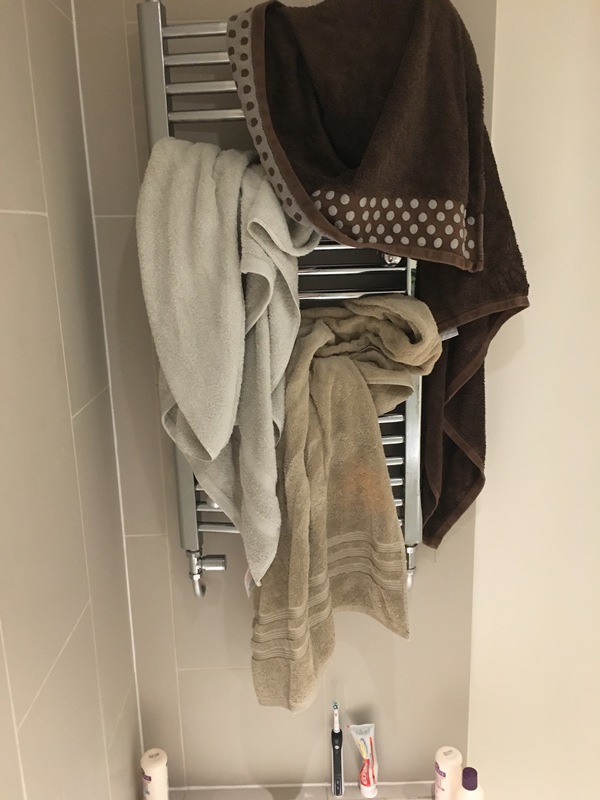 So HOORAY and BIG RESPECT to all that did, until you see what they get to look at when having a shower – so, without more ado, let the disappointment begin. 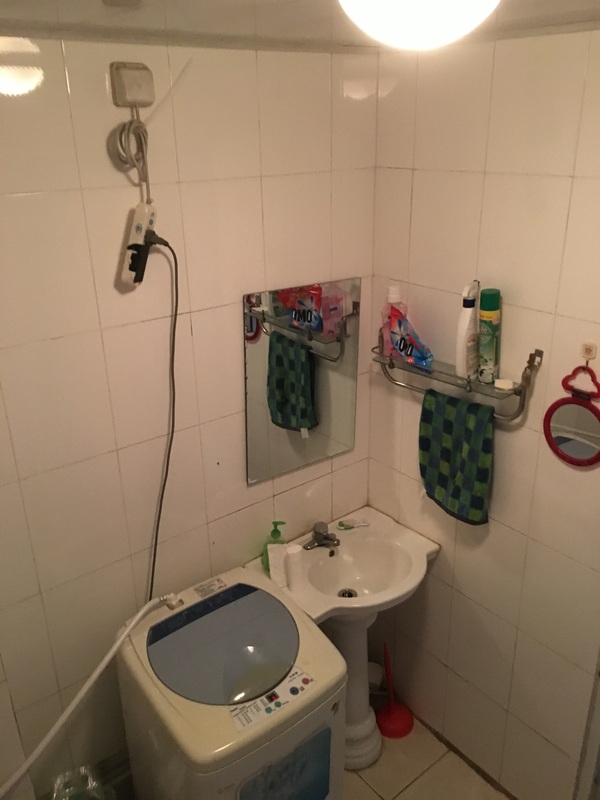 Then we‘ve got Christopper’s view from his shower in China. I did wonder whether the contraption next to the basin was some sort of new-fangled WC copied from an all-singing, all-dancing Japanese one. But it is in fact a rather more prosaic washing machine. Having just seen Chris after his two month stint out there counting small brown wading birds while standing next to a six-lane motorway, he obvs didn’t use the washing machine much. Or maybe he did but it just wasn’t a very efficient machine #stainsonshirt, #justsaying! Floyd took photos from inside the shower on Protea. This one is the best (trust me, the best, of a very bad bunch J). But what it does give is a fab impression of the snugness of the ‘bathroom’ whilst encompassing all the salient points. The powder blue shower curtain with the carefully matching bath mat in the mirror. The clashing towel, the miniature wash basin and the ‘oh so stylish’ PVC wall covering… I love Protea and the shower is pretty cool hence it has made the shower blog twice once in June 2016 and before that way back in May 2012. But the décor in the bathroom is from the 80’s and we are a bit stuck with it. On the subject of salient points… I have just realised that Floyd has carefully omitted the ubiquitous porta potti from his snap! He’s a polite lad which I’m sure is why he did it but has just proved that the camera certainly can lie. 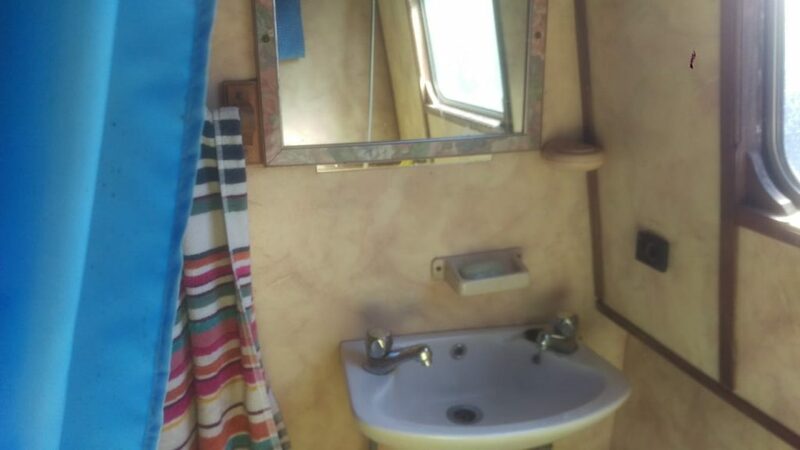 There is nooooooooooo way you can have a shower in Protea without the afore mentioned porta potti taking pride of place during the whole thing! More fabulous views (or not) next month!